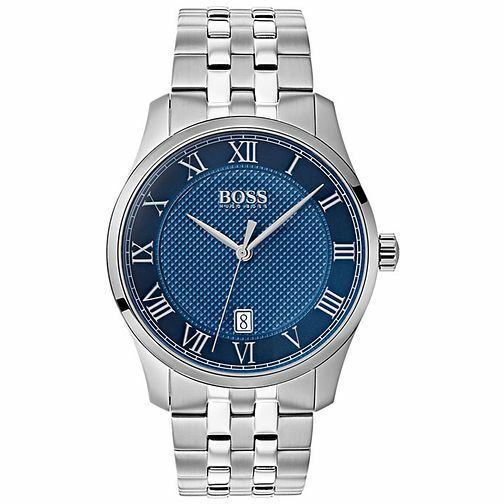 This classic watch by German fashion house Hugo Boss, is the sophisticated timepiece you need on your wrist. The encased stainless steel is complemented by the silver dial adding to the opulence of the design. The watch is beautifully finished with a striking blue dial featuring Roman numerals markings around the perimeter, and a stainless steel bracelet strap.